1. 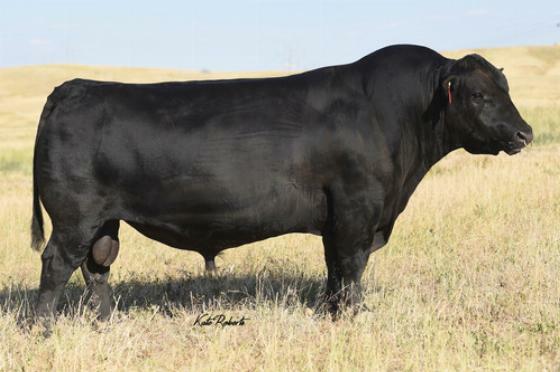 Elite purebred sire with the top 1% all purpose and top 1% terminal Index values with the beef bull look you demand. 2. Outstanding calving ease and maternal traits with even stronger carcass merit and end product value. 3. Very correct, sound made bull with added length of body and thickness.